3 Bedrooms on Main. 4th Non Conforming in the Basement. 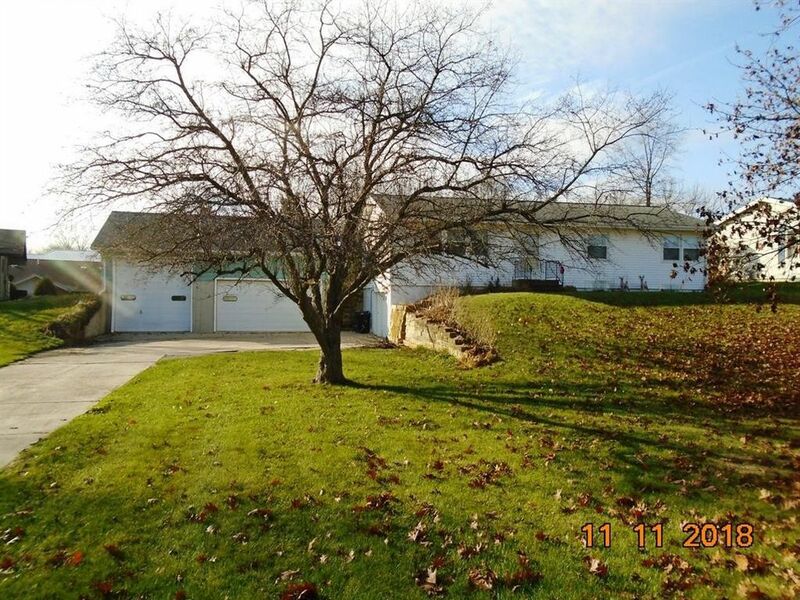 3 car detached garage w/one extra tall door & upper level storage room. Great for the Handyman. Also Single car attached garage. Newer Windows, Sliding Patio Door, Roof, Furnace, Water Heater & A/C. House is vinyl siding & detached garage is aluminum siding. Lights in all main floor bedroom closets. Family room has built in’s. 3/4 bath in Basement. Chairlift on Stairs can Stay. Close to Park, Aquatic Center & High School. Plenty of off street parking.